Yumeko, a half-human/half-kitsune teen girl, has been raised all her life at the Silent Winds temple. But her life is upended completely when her home is destroyed, the monks she calls family are slain and she is charged with the mission of protecting one part of an ancient scroll that has the power to summon the Kami Dragon in order to get the wielder's wish granted. She must now journey to safety, and fate ensures her path crosses with Kage Tatsumi, who is a mysterious samurai of the Shadow Clan that has been tasked with seeking the scroll she conceals. As they journey together, these two encounter demons and allies and find themselves sorely tested in more ways than one. If you love anime, particularly anime in the vein of Fushigi Yuugi or Yona of the Dawn or Naruto, I certainly think that Shadow of the Fox would be a book for you! It's also a great book for YA fantasy fans in general, especially if you're intrigued by Japanese lore and culture. I immediately was invested in the two main characters (and also immediately wanted them to end up together, but that's just the otaku in me, I'd say). I also really enjoyed the journey bits, including all the action scenes, the encounters with demons and unexpected allies (who are such a delightful bunch and I need more of them) and all these great cultural references. 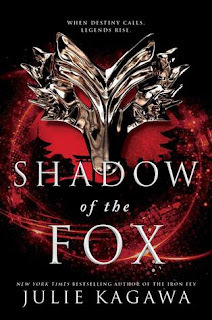 I definitely thought Shadow of the Fox was so entertaining, fast-paced and fun, and I cannot wait to read the next book in the series to find out what happens next to Yumeko, Tatsumi and the rest of the gang. Favorite anime? I'm only supposed to pick one?! This is very, very hard for me, particularly since I've slowly become more and more immersed in the world of anime again since 2015. I have to mention Fushigi Yuugi, since it was one of the first ones I ever watched and I've watched it multiple times since. (Here's a post I did about it a few years ago!) But I also wanted to mention Yona of the Dawn, which is an incredible show that tells the story of a princess who loses her kingdom and must locate four dragons of prophecy in order to win it back. It is so, so well-done, with great characters, excellent storytelling and wonderful animation, and I love it so much. 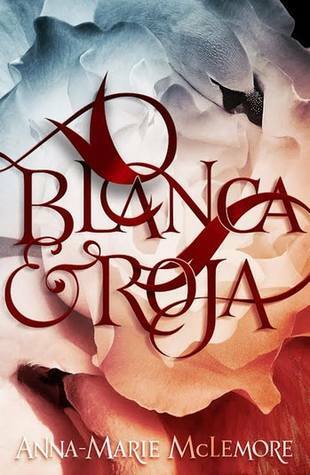 Blanca & Roja is, at its core, a modern day fairytale centered around two sisters. Both fair-haired Blanca and dark-haired Roja have grown up knowing that when Roja turns fifteen, the swans will come to take one of them away. While just about everyone assumes Roja will be the one taken, Blanca is determined to save her sister — no matter what the cost. As the sisters navigate the magical circumstances that surround their family and their home, they’ll soon learn that nothing is as it seems... and that perhaps they do truly have the ability to change their fate. I have read every single one of Anna-Marie McLemore’s stories, and each one has the same lyrical, gorgeous prose that a reader can simply devour. Blanca & Roja is no exception. I knew I was in for a treat from the very beginning, because I do love Anna-Marie’s lush storytelling and it suits this modern day fairytale well. But, as with most of Anna-Marie’s other novels, the build-up is cautious and careful. She takes the time to really introduce you to all the main characters, and reveal bits of the world, and while it does seem to meander initially, the story crescendoes beautifully as you continue to read. Before I knew it, I was deeply invested in the outcome of this sorry situation Blanca and Roja found themselves in; I cared deeply about what would happen to Barclay and Parker. These characters quietly came alive with every word in this novel, up until they found a little spot to claim in my heart. In case you couldn’t tell, I really enjoyed Blanca & Roja. Atmospheric, magical, complicated and almost inexplicably wonderful, I would certainly recommend adding this book to your TBR. Favorite fairytale? I do adore a lot of fairytales, but my personal favorite has always been The Little Mermaid by Hans Christian Andersen (even though it ends on such a melancholy note).